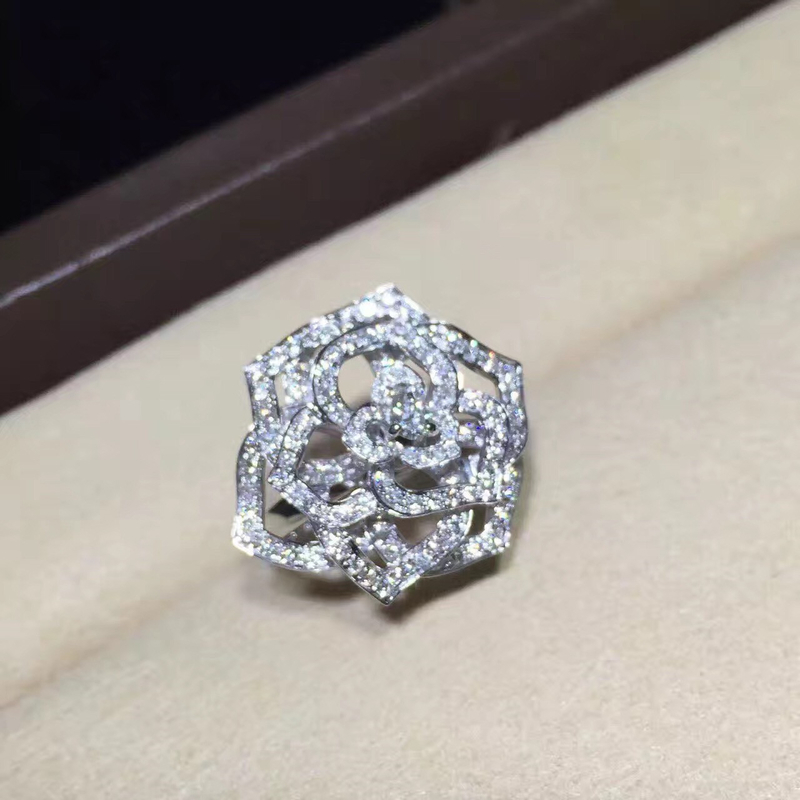 Piaget Rose white gold ring with openwork petals set with diamonds. Majestic, beautiful and feminine, the many qualities of the rose are displayed in a white gold diamond ring. 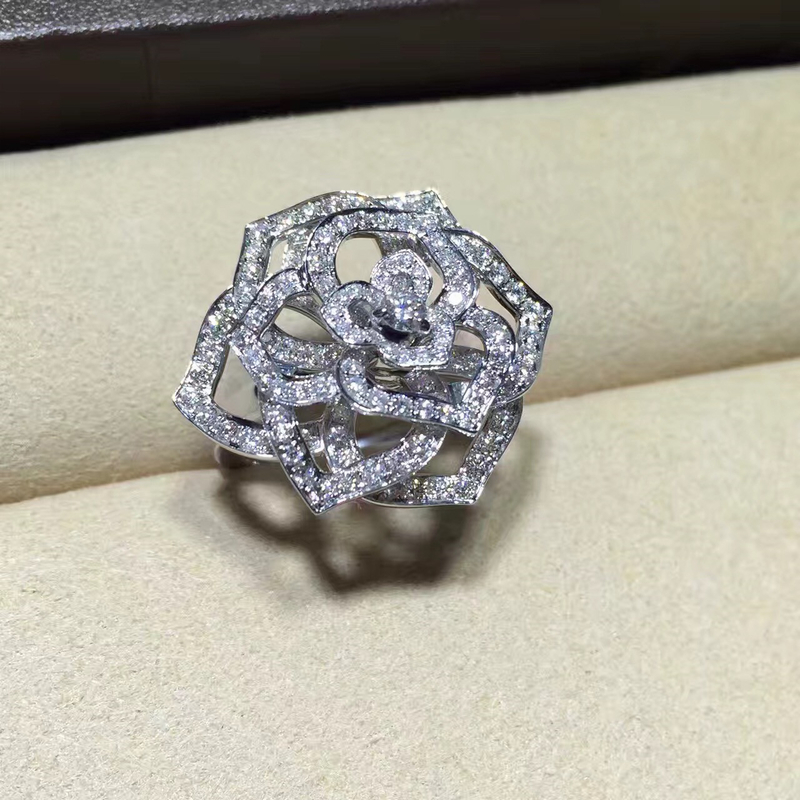 With playful radiance, this intricate diamond jewelry rose allows the natural beauty of a woman’s skin to shine through the petals of the delicate flower. 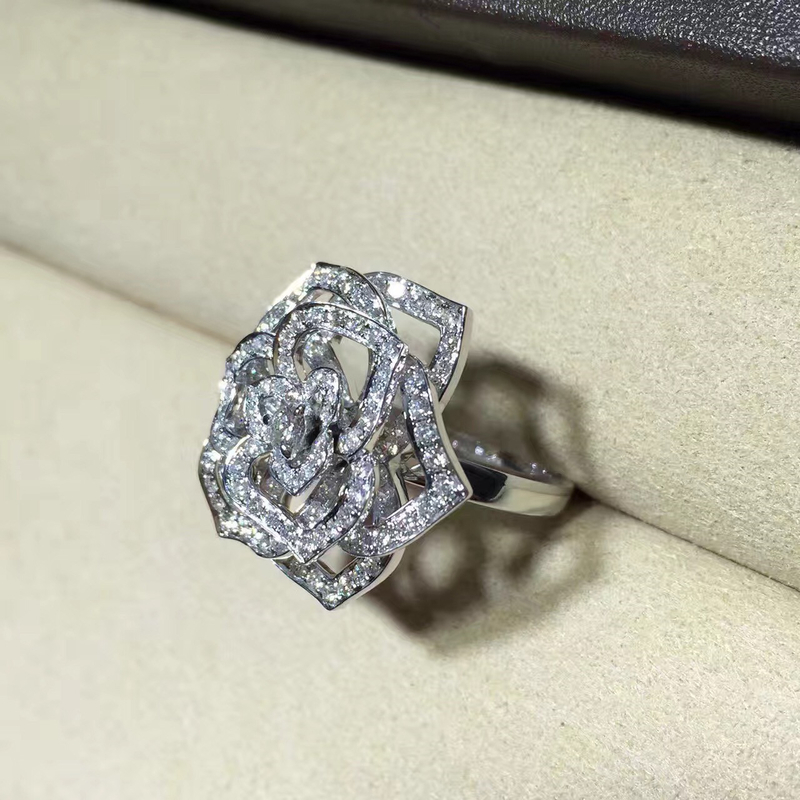 Glistening with an abundance of diamonds like a rose shimmering in the sunlight, the openwork white gold ring plays hide-and-seek with the light. Cultivated with passion and skill in gold and diamonds, the Yves Piaget rose continues to bloom with abundant charm and elegance.